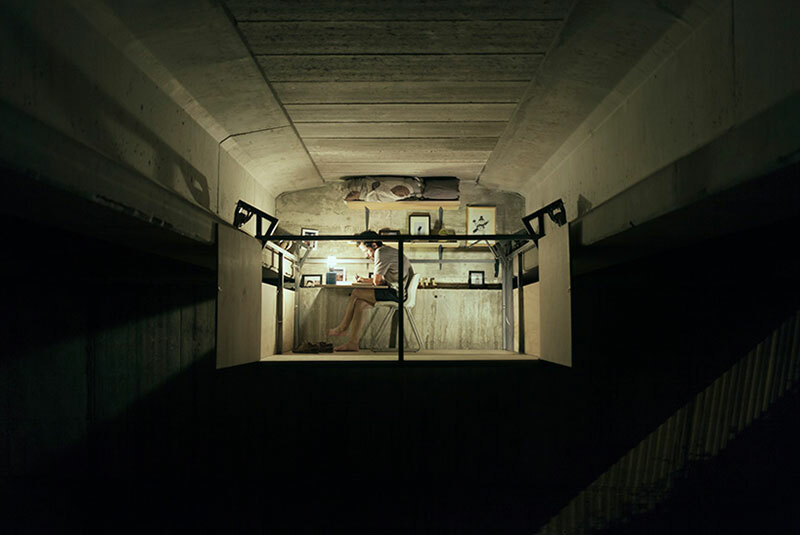 Self-taught designer Fernando Abellanas has installed a secret studio suspended beneath a bridge in Valencia, Spain. 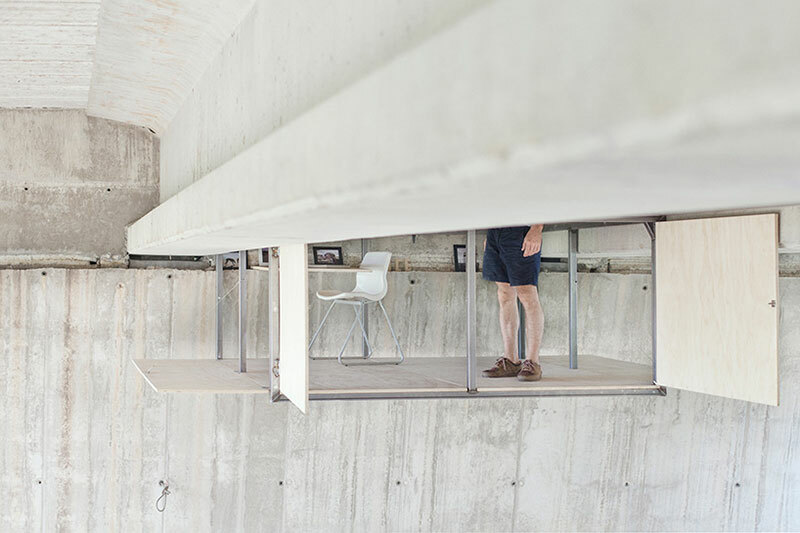 A hand crank moves the wooden and metal base from one side of the bridge to the other where a shelf, chair, and desk have been bolted to the bridge’s concrete wall. When the base is rolled back, the chair and drafting table floats in midair that makes for a chilling sight if you happen to encounter this for the first time. 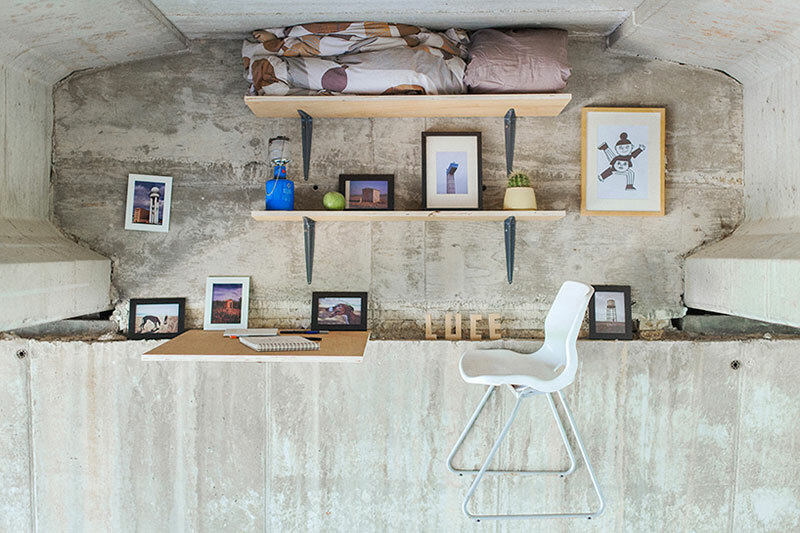 The studio was conceived as a "refuge in the city" where movable walls encloses the tiny space, creating an environment that the designer compares to hiding out of sight as a child. Abellanas won't disclose the exact location of the studio for fear that it will be discovered. 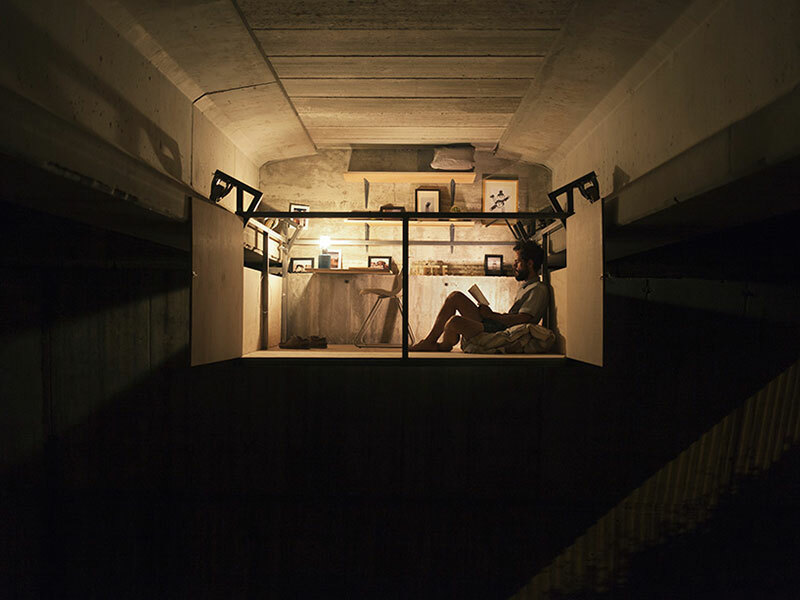 He states that the project is an ephemeral intervention and that it will remain until someone finds it and decides to steal the materials, or the authorities remove it. 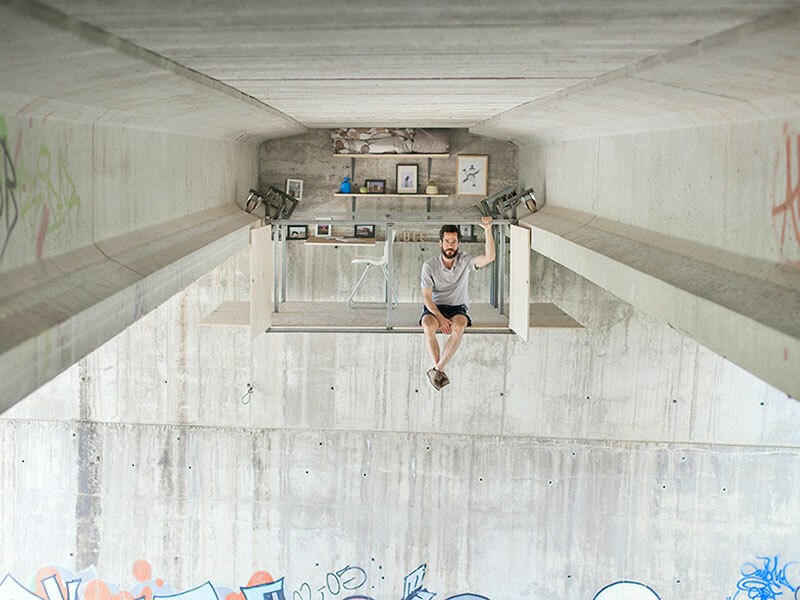 Self-taught designer Fernando Abellanas has installed a secret studio suspended beneath a bridge in Valencia, Spain.